CallaLily wrote: I just. I have no words. I can't believe that they're still in business. For real. Or that people keep placing orders with them. Hi, after reading several pages here I guess it's safe to say that I shouldn't order from live hermits.com. I am so glad I searched before deciding to order some E's. I live in MInneaota & we are going to Texas for the month of January. I have never seen E's in MInneaota & am wondering if any places along our route on our way home from Texas might have them. Has anyone found them at Petcos in Texas? We are staying in Port Aransas, Texas. Thanks for any info you can give me. Also, are there any other online stores that sell E's? I hate the idea of waiting that long before finding some. I don't care what kind of grand reopening, rebranding, or whatever other schemes they have to make themselves look better...there is no way I would ever, ever, ever, order from them. I understand that people want exotic crabs. I will never mail order crabs from ANYONE personally (this is just my stance on it, and I do not expect others to share the same outlook on ordering crabs online or having them shipped). But seriously, NO. Just NO. For years you have shown to be inconsistent and have HORRIFIC customer service. Also, someone asked why they couldn't open in June? In my area (Texas) June was already way too hot to ship safely. When it is finally safe to ship in Texas, it is already too cold in the rest of the country...and there is no way to tell what states your package is going to get bounced through on the way to your home. It isn't a direct line as the crow flies, by any means. I had packages from Naples Seashells get sent to my home city, then to another state, then to Austin, then back to Dallas. Thank you for contacting livehermitcrabs.com. The office will be closed from 8/5/16 to 8/10/16. 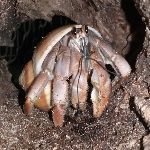 Ecuadorian hermit crabs will be arriving Friday the 12th, and orders will begin to ship the following week. All customers with pending orders will be notified before their orders ship. Thank you for your patience. We apologize for any inconvenience. I got that about five minutes ago. I build websites, and blog about ebooks. Omg! It is triple digit weather where I live! Not safe to ship at all right now, not anywhere in the U.S. I am sorry so many people have invested time and money into this company but after two years of reading how often they have ripped people off, I wish they would just stop. Accept defeat and move on. Refund everyone's money. I don't think it's safe to ship in Virginia, no. We get into the 90s during the day, and delivery trucks are bound to get even hotter than that. Fortunately I work from home and already have a crabitat for the hermies, but I really hope this is another fake out. I don't know the hermies will arrive alive and healthy. 631. 555 1212. Which is information! also, they never seem to have blueberries! Blueberries and strawberries are really pretty, but I think they are forever out of stock with blueberries. bbcraft22 wrote: also, they never seem to have blueberries! Blueberries and strawberries are really pretty, but I think they are forever out of stock with blueberries. Blueberries are almost impossible to get in the U.S. Okinawan blues are illegal to export from Japan and the only person I know of that has had an export permit for Indonesian blues recently is Felix J. Wang. Most of the time people sell small violas as blues, because they can't tell the difference. I still don't have my order. LHC has stopped responding to my emails. What kind of crab were you trying to order? I may be able to get straws or E's. I'm just waiting and hoping that one day I'll walk into a pet store and they'll have Es. I really would like Ecuadorians, Ruggies, Cavipes or Violas (I also like Lilas but I don't think you can get those yet) but I don't really trust the hermit crab websites or the idea of the crabs being sent in the mail, so I'm stuck with either waiting for a pet store to have any of the above or adopting them. PinchersAndShells wrote: I'm just waiting and hoping that one day I'll walk into a pet store and they'll have Es. I really would like Ecuadorians, Ruggies, Cavipes or Violas (I also like Lilas but I don't think you can get those yet) but I don't really trust the hermit crab websites or the idea of the crabs being sent in the mail, so I'm stuck with either waiting for a pet store to have any of the above or adopting them. There are no reputable online sources for exotics at this time, to my knowledge. I've heard some times e's sneak in at petco and pet smart I'm yet to see one but if i do its tempting but than again I'd need 2 gotta have a species buddy. I don't like the idea of them being shipped it seems so inhumane but that's just me.